As soon as the Second World War was over, the French began fighting a decade-long hit-and-run guerrilla conflict against left-wing nationalists in Vietnam, Cambodia and Laos, the three pieces of the map that made up French Indochina. Eventually they lost their patience, deciding to wipe out the enemy by luring them into one big killing zone. The place they mistakenly chose was a nondescript hamlet called Dien Bien Phu in northwestern Vietnam. Militarily, it looked to them like the perfect spot. It was almost within sight of Laos, and the French feared that their communist opponents, led by a then surprisingly little-known figure who called himself Ho Chi Minh, wished to capture Luang Prabang, the traditional royal capital (now a must-see destination for young Western backpackers). But France’s scheme misfired; its army in Indochina was decimated. Diplomats representing the two opposing isms agreed in Geneva to divide Vietnam into a communist north and a non-communist south, in effect passing the whole mess over for the United States to deal with somehow. Thus there came a point, in the last phase of the Dwight Eisenhower presidency and the early days of John F. Kennedy’s, when the United States was itching to go to war in Southeast Asia, but couldn’t decide whom to fight, the communists in Laos or those in North Vietnam. In his autobiography, There Be Dragons, journalist Peter C. Newman captures the moment beautifully. His editor in Toronto told him to go cover the story in one place or the other; there wasn’t enough in the budget to do both. Mr. Newman picked the wrong one. He did so because “for reasons that no one clearly understands to this day, the Americans treated Laos (or ‘Lay-oss,’ as they pronounced it) as a strategic ‘bulwark against communism,’ eventually dropping more than two million bombs on the tiny mountain kingdom, the most concentrated firebombing in the history of modern warfare.” In Mr. Newman’s defence, Laos, which the French once feared the British in Burma were coveting, looked like a good bet. The Americans had already managed to foster a civil war between the Royal Laotian Army (the U.S. home team) and the Marxists, known as the Pathet Lao. Louis-Marie, vicomte de Noailles, as painted by Gilbert Stuart. Mr. Newman (who, according to a photo in his book, wore a conservative suit and tie, complete with pocket square, to interview soldiers dressed in jungle-pattern fatigues) expressed surprise when politely asked if he would care to inspect the Royal Laotian Navy, for Laos is a landlocked country. The fleet, it turned out, consisted of several well-rotted old wooden hulks that had been dragged up onto the bank of a river and were being used as giant chicken coops. What drove me to take Mr. Newman’s chronicle down from the shelf is the appearance of So Much to Lose: John F. Kennedy and American Policy in Laos (University Press of Kentucky, US$40) by William J. Rust, who has written much about American diplomacy in the Vietnam War years. Mr. Rust’s previous work, published in 2012, was Before the Quagmire: American Intervention in Laos 1954 – 1961, a study of how shifting geopolitical events following the French withdrawal led to the terrible tangle of ambitions and fears that diplomats, despite their best efforts, failed to unravel — in fact, made worse. The new book is to be read as a stand-alone effort, not as the second part of a two-volume set, because it details, in considerable depth, the incipient mess that Kennedy found on his desk when he moved into the Oval Office in January 1961. At first, things looked promising. The U.S. and the Soviet Union were signing an agreement stating that Laos was of “no strategic significance for either and both would work together for a neutral settlement” of key multiparty Southeast Asian issues. 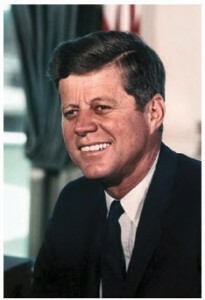 By 1963, the American ambassador in Moscow reported to Kennedy that Nikita Khrushchev “is fed up with the subject of Laos and wishes it would go away.” One reason it didn’t just go away was that it was bounded by two communist countries, North Vietnam and China, and two non-communist ones, South Vietnam and Thailand — not to mention Burma and Cambodia, whose exact politics were in flux. In 1963, the Soviets pledged they would “police the commitments by the communist signatories to not interfere in the internal affairs of Laos nor to use Laos as a corridor into South Vietnam.” But by then the North Vietnamese were violating the latter part of this agreement. They were rebuilding and expanding the Truong Son Strategic Supply Route, known to Americans as the Ho Chi Minh Trail. “Originally it was a network of simple footpaths” used in fighting the French. Depending on the time of year, a complete transit on foot might take three months. Now it was a marvel of military engineering for moving personnel and matériel into South Vietnam. Part of the HCM Trail passed through Laos, officially a neutral country in the war between North and South. But the U.S. felt that the Laos section, too, had to be bombed. Their attacks began in early spring 1965, at about the same time the first waves of Marines were landing in Vietnam. The sorties were launched from bases in South Vietnam and Thailand and from ships at sea. In 1966 and 1967, the operation, called Rolling Thunder, was expanded to take in targets in North Vietnam itself — 643,000 tons of bombs in a three-year period. The U.S. never managed to stop the flow of men and supplies southward. In the attempt, they lost 922 aircraft — all taken down by fire from the ground, as for all practical purposes North Vietnam had no air force of its own. Or a grown-up navy, for that matter. After the French defeat in Indochina, Eisenhower authorized U.S. military and economic assistance to all the former colonies to help them resist communism. 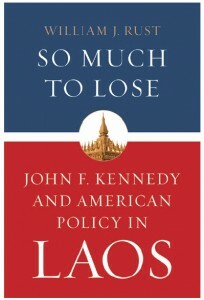 Early on in his own administration, Kennedy hoped that Laos could be disengaged from the chaos by diplomatic means. So Laos was overseen by the State Department, whereas the Vietnam War was run by the Pentagon. This did little to clarify the situation. Poor Laos. I’ve spent time there more than once and have developed a private theory about the place, which I reveal now. France is made up of 24 regions (which President François Hollande plans to reduce to 12, by combining, for example, Alsace and Lorraine). The regions contain 36,000 towns. My theory is that you could visit all 36,000, hiring in each place the best, most knowledgeable guides, thoroughly familiar with local history and tradition, and you’d never experience one of them pointing to a distant mansion, magnificent chateau or grand hôtel particulier and whispering proudly, “The family made its fortune in Laos.” I swear, no one ever made a centime in Laos. I don’t mean to be rude, but aside from Vientiane and touristy Luang Prabang, the country seems barely able to support human habitation. And even today there are posters in every schoolroom, warning children not to play soccer with the landmines. Mr. Rust’s So Much to Lose is a marvel of research and detail, but must be read with a dedication bordering on monasticism. In this respect, it could hardly be more different from another new book that also tells us a great deal about Franco-American diplomacy, among other things. This is François Furstenberg’s When the United States Spoke French (Penguin Group Canada, $42). It is a beautifully written study — the prose flows like olive oil — about how French culture, in the broad sense, became central to that of the brand new United States in the 1790s, thanks to exiles fleeing France itself or its Caribbean colonies. Prior to that time, French immigration to the U.S. was more a matter of individual enterprise than a mass movement. Most French arrivals had been farmers or planters, but this new rush consisted largely of skilled artisans and artists. As any regular viewer of Antiques Roadshow knows, Philadelphia, in the early years of the American republic, was associated with the work of French-born craftsmen of the highest calibre, many of whose names are still recognised: watchmakers and clockmakers, silversmiths and goldsmiths, jewellers and creators of fine handmade furniture and weapons. Prof. Furstenberg, an American who taught for years in Montreal, acknowledges all this, but chooses to concentrate specifically on the lives of five aristocratic exiles who lived in the U.S. between about 1793 and 1798. They had been proponents, even leaders, of the French Revolution of 1789, but had to flee once the new French republic was declared, an act that led to war across western Europe and emboldened 500,000 slaves to revolt against their masters in what’s now Haiti and other French colonies. Who were these peripatetic aristos with names and noble titles that sound so pompous to our contemporary North American ears? Jean Anthelme Brillat-Savarin had been a lawyer in Paris, but in Philadelphia earned a living giving violin lessons; in time he became a famous expert on gastronomy. Constantin-François de Chasseboeuf, comte de Volney, was a planter originally from Martinique, who became a well-known traveller, philosopher and (the word carried no bad connotation then) “orientalist.” He was a friend of that leading francophile, Thomas Jefferson. By contrast, Louis-Marie, vicomte de Noailles, was a buddy of Benjamin Franklin. 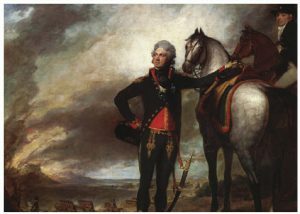 He was also the brother-in-law of the marquis de Lafayette, who became a national hero in America for helping to fight the British (but ended up being reviled in France). Noailles, too, fought with the American side and later helped negotiate the French portion of the British surrender after the battle of Yorktown. François-Alexandre-Frédéric Liancourt, duc de la Rouchefoucauld, was rich enough to be a philanthropist. He was a descendant of the famous French author François de La Rouchefoucauld. Yet of Prof. Furstenberg’s five contestants, his is not the name that might ring a bell today. That privilege belongs to Charles-Maurice de Talleyrand-Périgord, the statesman and master diplomatist who lined his velvet pockets with money when he was a Catholic archbishop and became Napoleon’s foreign minister once the political tide had safely turned back in France. These influential personages and intellectuals all knew one another and often congregated at the French-language bookshop that a friend named Moreau de Saint-Mary, a Creole from Paris, operated in Philadelphia, a city whose francophone population accounted for about 10 percent of the whole. But, of course, no such imperial revival came to pass. Napoleon was desperate for money for his wars in Europe and elsewhere. So, in the real estate deal of all real estate deals, engineered by the wily Talleyrand, Jefferson bought from France what Americans call the Louisiana Purchase. The land was the equivalent of 23 per cent of today’s continental United States. The price, in 1803 currency, was three cents an acre. Moving on, Peter Finn, the national security columnist of the Washington Post and previously the paper’s man in Moscow, has joined Petra Couvée, of Saint Petersburg State University, to produce The Zhivago Affair (Random House of Canada, $32), the sad story of the author Boris Pasternak (1890 – 1960) and his one and only novel, the romantic doorstopper Doctor Zhivago. Pasternak believed, with some reason, that it could never be published in the Soviet Union, but, in 1956, he allowed an Italian book publisher, on the prowl for potential bestsellers, to take away the original manuscript. In a long and complex Cold War drama, the book became an immense success in the West. Pasternak was expelled from official Soviet writers’ organisations. Famous Western figures called him a genius (he agreed) and a martyr to free expression; Soviet ones, presumably under official pressure to do so, denounced him. When, astonishingly, he was awarded the Nobel Prize for Literature, Moscow forbade him to accept it. The matter ended when poor Pasternak died of lung cancer. In a bizarre subplot characteristic of the age, the CIA paid an American publisher to produce a huge number of copies to be smuggled into the Soviet Union so that readers there would supposedly become disenchanted with communism. In fact, the book’s political content was not only historical in nature and tone, but also relatively slight. It was a love story, for God’s sake. In his own last years, Nikita Khrushchev said the whole business had been a mistake. One other matter: It’s expected that publishers try to stir up a market for new books about the 50th anniversary of some important event, or the centenary of some great figure’s birth, and so on. Those of us who write about books steadied ourselves earlier this year for a great rush of books about the First World War, which broke out in August 1914. 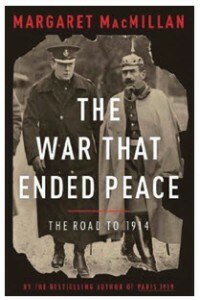 I, for one, was eager to see The War That Ended the Peace: The Road to 1914 by Margaret MacMillan, the Canadian historian who is now warden of St. Anthony’s College at Oxford, and Catastrophe, 1914 by Sir Max Hastings, the journalistic hero of the Falklands War and long-time editor of the Daily Telegraph in London. But the sheer downpour of other titles — including a surprising number of American ones — knocked me off my perch. Now late in the centennial year comes a surprise by J.L. Granatstein, the dean of Canadian military historians. Until this year, he was chair of the advisory council of the Vimy Foundation and so hardly one to downplay the importance of that great Canadian success at Easter 1917. But in The Greatest Victory: Canada’s One Hundred Days, 1918 (Oxford University Press, $29.95) he explains confidently that Vimy provided the rush of military adrenalin and momentum that enabled the Canadian Corps to score victory after victory on the Western Front in France and Belgium, from Amiens in August 1918 to the Armistice three months later. Prof. Granatstein writes with absolute clarity. If now and then, in this and other works, he sometimes sounds a cranky note, it’s probably because not all of his colleagues have his own level of knowledge or depth of conviction. I fear his book will never be one of the best known but it could prove nonetheless to be one of the more important. George Fetherling’s most recent book is an expanded 20th-anniversary edition of Travels by Night, A Memoir.